Pathways Connect meets every second Thursday in the office of Live Long and Prosper Chiropractic.Childcare is provided and free. Events are open to the public. There will be a craft or activity for the kids while the parents discuss topics or questions. A light snack is also provided for anyone who attends. Pathways meetings last about an hour and a half to two hours based on the needs of those there. Young kids may sit or play near parents if you choose. During summer months, play dates at local parks will also be part of our Pathways group activities. What is pathways connect? : Pathways is a non-profit organization, world wide, that brings families together that are living the natural lifestyle. The goal is to support you and your family’s quest for wellness. Your tribe is your family and your support. Pathways has different “tribes” throughout the nation and Auburn is lucky enough to have their very own chapter for a Pathways Connect support group. We meet monthly in the office of Live Long and Prosper Chiropractic and during summer months we do an additional play day at a local park. There is an online Facebook presence for this group as well that offers a place to go and freely ask questions, start discussions and share wonderful articles centered around wellness and raising children. It takes a village to raise a child and we are here to help you and be your additional family. As Pathways is family centered, we welcome children and families of all types, age, race, and religious background. Find your tribe today. Our structure of topics for our meet ups is primarily going to be centered around topics found in that quarter’s magazine issue, but can vary based on the needs and desires of the group. This meet up is an opportunity for children to be kids and parents/guardians to be able to have a moment to have a conversation with another adult. 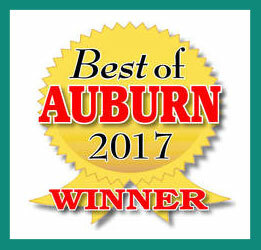 To contact us in Auburn for more information click here. To learn more about Pathways and read current and past articles you can go to their websitepathwaystofamilywellness.org. These classes are every week. Topics range from chiropractic to meal planning and financial planning. We have guest speakers once a month and even do movie nights. We have selected topics that encourage health, wellness and advancing forward in life. Classes are FREE and open to the public. We encourage patients to come and bring their family and friends as well. Attending one of the chiropractic classes is mandatory for part of a patients care while all other attendance to classes is voluntary.